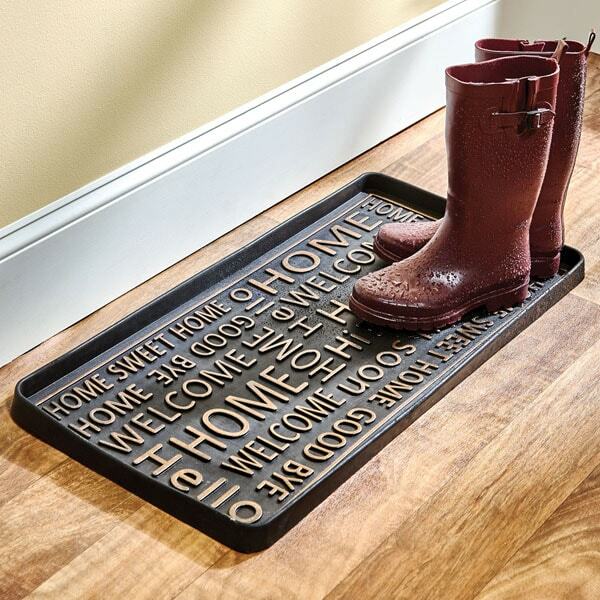 Hello, stylish boot tray. Good-bye, puddles on the floor. 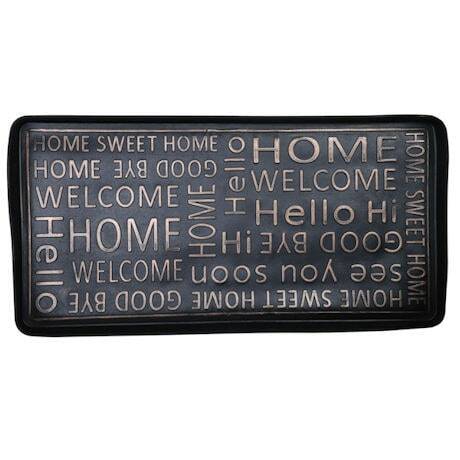 Molded rubber tray is covered with raised copper-colored words of greeting, farewell, and home sweet home. 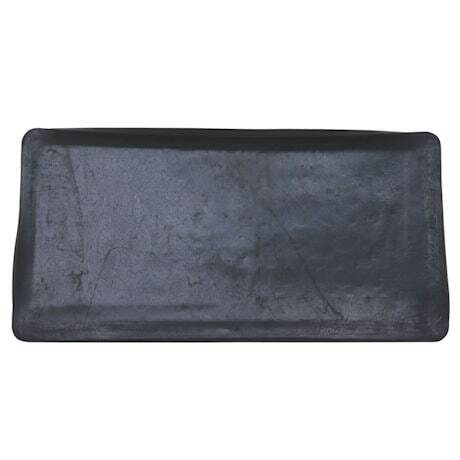 Durable, practical, and it does the job. 32" x 16".